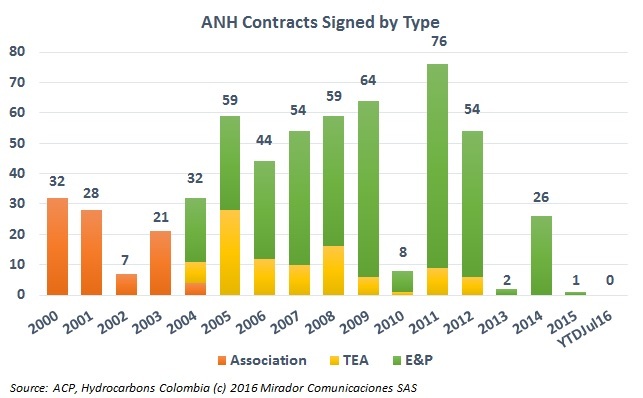 The graph shows the history of contracts signed by the National Hydrocarbons Agency (ANH). The post-2014 record is not inspiring. In its first regulatory move since the exit of its president earlier this year, the National Hydrocarbons Agency (ANH) has published a draft of regulations which will govern a promised new assignment process. The agency will receive comments through September 18th, 2016. 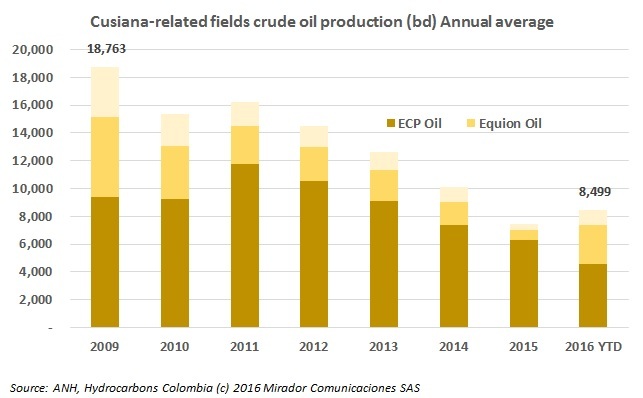 The other major reversion (besides Rubiales), Ecopetrol (NYSE:EC) is set to receive the Cusiana field on July 4th, after the end of the Tauramena association contract, signed originally between BP (NYSE:BP) and Ecopetrol in 1986. Ecopetrol (NYSE:EC) has made good on promises to sell off its non-core assets, and has announced a ‘2016 Field Round’ in which it is auctioning 20 assets to the oil & gas industry. The National Hydrocarbons Agency (ANH) has been willing to negotiate contract terms of E&P contracts as one of the benefits delivered to the industry due to the fall of oil prices. But rarely do these agreements get released to the public. A recent agreement made with Interoil over COR-6 gives us a small window into this process. The National Hydrocarbons Agency (ANH) says that it has detected a significant increase in the buying and selling of E&P blocks, provoked by the fall in oil prices. The National Hydrocarbons Agency (ANH) board of directors has approved regulatory changes to how it will assign blocks, and reports suggest it has taken into consideration at least some of the observations from the Colombian Petroleum Association (ACP). 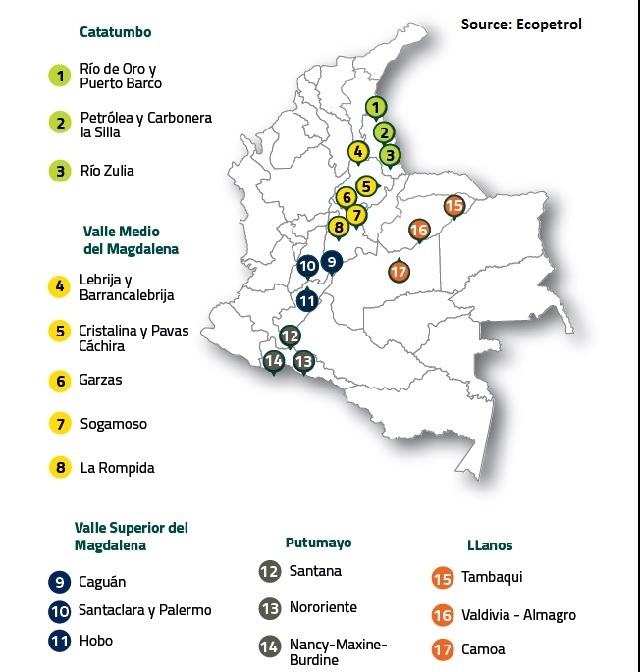 The National Hydrocarbons Agency is accepting comments until January 31 on proposed changes to the area assignment process, the last step before implementing a new model which it hopes will offer more flexibility and attract new players and investment to Colombia. The National Hydrocarbons Agency has canceled three contracts with Optima Oil and Range Resources for not meeting their contractual obligations and supplying inadequate letters of credit as a guarantee. After a necessary change in the rules, which allowed individuals access to the recently-opened Mexican oil market, and after two disappointing Round One auctions, the third phase was held yesterday (December 15, 2015). All 25 available contracts were awarded, making it is the most successful round so far.